The new edition of the RTE TV series “At Your Service” will feature a visit by the Brennan Brothers of the Park Hotel, Kenmare to Coachford and to Breathnachs Bar in particular. The series’ hosts, Francis and John Brennan visited Coachford last Monday to film with the owner of Breathnach’s Bar and Gala Supermarket, Mary Cronin. The programme will look at developing and growing the business on Main Street Coachford to include luxury accommodation as a Bed and Breakfast. The village was a buzz with excitement on Monday when the television crew and the celebrities spent most of the day filming in the village. Mary and Colm Cronin’s supermarket and bar business is located on the ground floor of the once famous Burke’s Hotel. The hotel was a very welcome stop over by many visitors on their way from Killarney to Cork and Mallow to Bandon as they crossed the county by horseback and coach in years gone by. The series is expected to be aired later this year or early in 2014. A group of dancers from Coachford will take part in the TG4’s Television series ‘An Jig Gig’. The girls, Julie Tarrant, Sarah Byrne, auditioned for the show in April with hundreds of others and were picked to go through to the television shows. The winners of the series will be crowned TG4’s Best Traditional Irish Dance Act.This Irish dance competition sees dancers of different ages, styles and organisations battling it out head to head on the same stage. All forms of Irish dancing are eligible for the series, from step dancing to brush dancing, from Sean-nós dancing to set dancers. This is the ultimate free-for-all Irish dance competition and a celebration of all the Irish dancing traditions. The Coachford group who are from the O’Sullivan School of Dancing will travel to the RTE studios in Dublin next week to take part in the show which will be aired in Autumn. This is the second group of dancers from the village to compete in a TG4 show. Earlier in 2013 an older group of Irish dancers qualified for the finals of Scór Encore. Under 15s play off for title. Killanardrish/Coachford AFC under 15s enjoyed a superb win over neighbours Lakewood last weekend on a score line of 5-1 to end the season on the top of the table on equal points with Carrigtwohill. This result ensured that both teams must now play off for the title of Division 4 champions. Team manager Seamus Murphy said “ We are thrilled to be in this position after 16 very tough encounters. The lads played brilliantly all year. They are a very balanced team and although we have been scoring some great goals our defence has also been rock solid. The younger lads in the side at the start of the campaign have grown throughout the season and have developed as fine soccer players and young men and isn’t one of the benefits of sport” The final is expected to be played within the next ten days. Fresh from their success in securing the Under 13 league title, the Killanardrish/Coachford boys will play Douglas Hall at 7.00pm in Carrigadrohid in the second round of the Con Elliot cup while the following night the Under 12s entertain Blarney United at the same venue and the same time in the Albert Conboye cup. The season is nearing it’s finale for the under 12s and many of them will be asked to play for both teams next week as fixtures back up. €7,000 is the huge amount that the Coachford AFC Lotto Jackpot has reached. As can be imagined, there is huge interest in the draw each week and a substantial increase in ticket sales as everyone is eager to win this lovely amount of lolly. Tickets are on sale in all the shops and pubs in the village or from any club member. 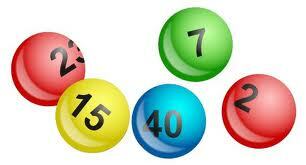 There was no winner this week and the numbers drawn were 11, 21, 32. The Lucky dip winners were Eileen Milner(€40), Lisa Murphy, Nan O Sullivan, The Crowley Girls, and Pods, (€20) each Next week’s draw will be held in Hogan’s Bar. The Cork County Council Litter challenge for 2013 has begun and the Coachford Tidy Towns committee are appealing to everyone to make an extra effort to keep the village tidy and to avoid littering. The committee are hoping to improve the score that the village attained in 2012 and have asked the businesses to continue the excellent work they are doing outside their premises. A huge number of people turned up to take part in and support the Table Quiz in aid of FRIENDS OF LEUKEMIA CORK held in Griffins Garden Centre, Dripsey last weekend. The quiz, organised by the Fitzgibbon family and the Dripsey Community Association was a tremendous success. Over €5,000 was raised for this worthy cause. Over 40 tables took part and everyone had a very enjoyable night filled with fun and good humour. A special word of thanks to Margaret Griffin for hosting the event and for turning off the wi-fi so everyone was forced to rely only on their wits and not Google.